The new year is an exciting time for kids, especially as they go back to school after the holidays. Fresh off the celebrations of the last few months, it’s easy to make big plans, but not always easy to keep them! 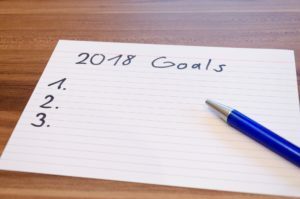 How can you help kids stay involved in New Year’s Resolutions? Stay Positive. Don’t let little setbacks (or even big setbacks) get you down. Sometimes we fail, and that’s OK! Help kids remember that every day is a chance to do a little better than you did the day before. Be a Good Role Model. Did you make any resolutions (like staying more active or eating healthier)? Keep them! You can even join your child in their resolution, whatever it is. For instance, if they’re resolving to keep their backpack tidy, consider doing the same with your purse or desk. Share progress with each other with pictures. Be Reasonable. Set specific, measurable goals that you can actually meet so you don’t get overwhelmed and set yourself up for failure. Make it Fun. Set up age-appropriate rewards like sticker charts, fun family outings, or much-desired video games, movies, or books. Turn resolution-keeping into a friendly family competition, with prizes for the family member who keeps their resolution the most days or weeks in a row. Working together as a family is a great way to meet your goals in 2018 and beyond. From our family at Fun-E Farm to yours, we wish you a safe and happy new year! There’s nothing worse than feeling left out on your birthday. Here at Fun-E Farm, we never want that to happen! The winter is an especially hard time for this, with all the craziness of the holidays. That’s why we’ve put together some tips for making a winter birthday special. The Problem of Presents. This is an expensive time of year, but don’t combine presents! You wouldn’t give a child just one present for Christmas and their birthday if they were born in July, so don’t do that to your December or January birthday child either. Separate Celebrations. Make sure you have distinct celebrations for the holidays and birthdays. Kids should feel like the star at their birthday party, not an afterthought to Christmas. Talk to Family. Make sure grandparents, aunt and uncles, godparents, etc are aware of your family policy about keeping birthdays and holidays distinct. At the very least they should send a card for each celebration, not just one. Visit Fun-E Farm! This is a stressful time of year for everyone, but especially for parents. Why not take some of the burden off yourself and book a party package with us? We’ll provide food, activities, tableware, and a party host, and we’ll handle setup and cleanup. All you’ll have to worry about is getting guests to RSVP! It’s never too early to start planning a birthday party, especially during a busy time of year. Fortunately, at Fun-E Farm you can book online! Come see us and let’s make your child’s birthday as special as they are. Festive Fun for Families this Fall! The holidays are right around the corner, and kids know it! As their excitement grows, they’re likely to get antsy. How can parents help kids stay focused in these last few weeks of fall? Simple: get playing with them! Check out these fall activities for families from The Fun-E Farm in Kingston, NY! Get Crafty. Kids love to get messy, and grandparents love to get hand-made gifts, so it’s the perfect time to pull out the craft supplies and get creative. Try a garland of leaves for the window or a simple apple tree craft for little ones. Have a party or bake sale coming up? Whip up some pumpkin chocolate chip muffins! Cooking or baking is a great way to solidify the math kids learn in school. Plus, you wind up with delicious treats at the end! Go on a Scavenger Hunt. Think of objects you’re likely to find in your neighborhood–a parent with a blue stroller, a house with a red door, the mail carrier, specific dogs–and put together a scavenger hunt. Have kids take pictures (with the permission of the people in the pictures, of course), or collect small objects like colorful leaves, fall flowers, etc. Then reward your intrepid little hunters with treats or an afternoon out! And of course, don’t forget to visit The Fun-E Farm! Kids need exercise to stay focused and healthy! Bring them down for an afternoon of bouncing around to keep their brains and bodies happy. Keep an eye on our specials for great seasonal discounts! The holidays are all about having fun with the family, overeating and celebrating, but in the midst of all the revelry, it’s important to remember the less fortunate in our community. At Fun-E Farm in Kingston, NY, we think it’s a great idea to teach your little ones about giving this time of year. Getting your kids involved in volunteer effort this Thanksgiving can help them learn a valuable lesson and help those in need at the same time. Check out a few easy ways to give back to your community with your kids this holiday season, and make sure to bring them to the Fun-E Farm afterward to reward their selfless hard work! Gather Nonperishables for the Food Bank – We all have canned goods and other nonperishables sitting in the cabinet. Instead of letting your cans of soup collect dust, have your kids help you decide what to give away. You can make it fun by decorating the donation bag before dropping your donation off at the regional food bank in Kingston! Give Animals Some Love – Giving during the holidays doesn’t only have to be about people. You can help your elderly neighbors by volunteering to take their dog for a walk. You and the kids can also volunteer at a local animal shelter or give food, treats, and dog toys as a donation. Throw a Fundraiser Party at the Fun-E Farm! – Sometimes the best thing you can do is give cash donations to organizations who are doing great work. At the Fun-E Farm, we are fully equipped to host your fundraiser for charitable causes. This is a great way to make community service a ton of fun! For more information or other great community service ideas, give us a call or swing by for a day of fun at our awesome indoor bounce house in Kingston!